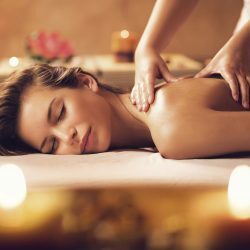 This classic massage treatment is also known as a Relaxation Massage and the goal is to relax the entire body through various techniques such as long, flowing strokes using light to medium pressure. Your session will address such issues as stress, tension and mild to moderate muscle discomfort. Swedish massage is often recommended for first time massage clients and is excellent for improving circulation and flexibility while easing tension. Should you have any questions about getting a Swedish Massage with us, please call us at 403-452-7899, email us here, or drop by our Panorama Hills location. We would be happy to consult you on your needs. Know someone who would benefit from a Swedish massage?